The American Presidents Film & Literary Festival will take place Oct. 4-6 in Fremont, Ohio, home of America’s first presidential library. This new film festival focuses on the American Presidency through the themes of people, places, politics, and power. 2019 Speakers To Be Announced. Filmmakers of all ages and skill levels, from emerging to seasoned, are invited to submit a film to the festival and can do so at the Film Freeway here: filmfreeway.com/AmericanPresidentsFilmandLiteraryFestival. The theme of this year’s festival is “People, Places, Politics, and Power.” We ask that films make some connection to this broad theme and encourage films that make some reference to the American presidency. Any genre of film is welcome. Foreign language films must contain English subtitles. No refunds on registration fees. If you are uncertain if your film meets the criteria, feel free to contact us! We are excited to provide the following awards! Miller also served as a special assistant to President Bill Clinton on the Initiative for One America—the first free-standing office in the White House to address issues of racial, religious and ethnic reconciliation. He is a food writer, attorney and certified barbecue judge who lives in Denver, Colorado. He also is the executive director of the Colorado Council of Churches and, as such, is the first African-American and the first layperson to have that position. Miller previously served as a senior policy analyst for Colorado governor Bill Ritter Jr. He received a bachelor’s degree in International Relations from Stanford University in 1991, and a doctor of jurisprudence degree from the Georgetown University Law Center in 1995. He has been a board member of the Southern Foodways Alliance. 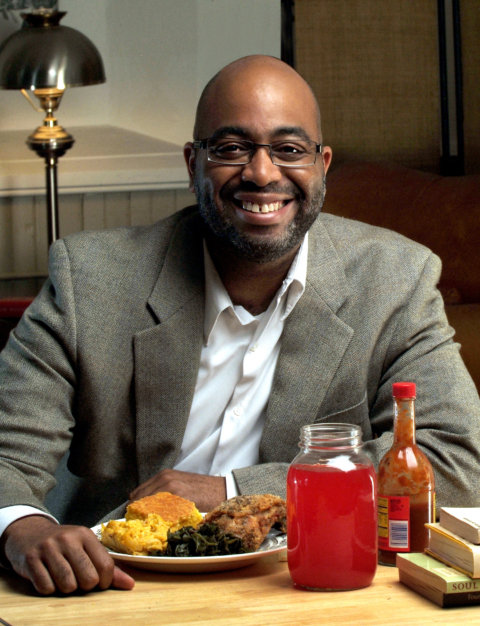 Miller’s first book, “Soul Food: The Surprising Story of an American Cuisine, One Plate at a Time” won the James Beard Foundation Award for Scholarship and Reference in 2014. 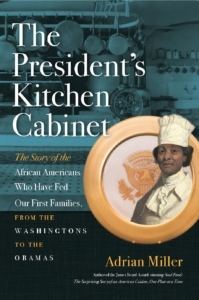 His second book, “The President’s Kitchen Cabinet” was published on Presidents’ Day 2017. It was a finalist for a 2018 NAACP Image Award for “Outstanding Literary Work—Non-Fiction” and the 2018 Colorado Book Award for History. In 2018, Miller was awarded the Ruth Fertel “Keeper of the Flame Award” by the Southern Foodways Alliance in recognition of his work on African American foodways. Learn more about Miller at soulfoodscholar.com and follow him on Facebook, Twitter, and Instagram at @soulfoodscholar. The 2018 People’s Choice Film winners tell us why they love the American Presidents Film & Literary Festival. Extra, Extra, Read All About It!. Become part of a fun team and watch great films for FREE! © 2018 American Presidents Film & Literary Festival and the R.B. Hayes Presidential Library & Museums, Inc.
Requests received with less than one week’s notice will be accommodated to the best of our ability.